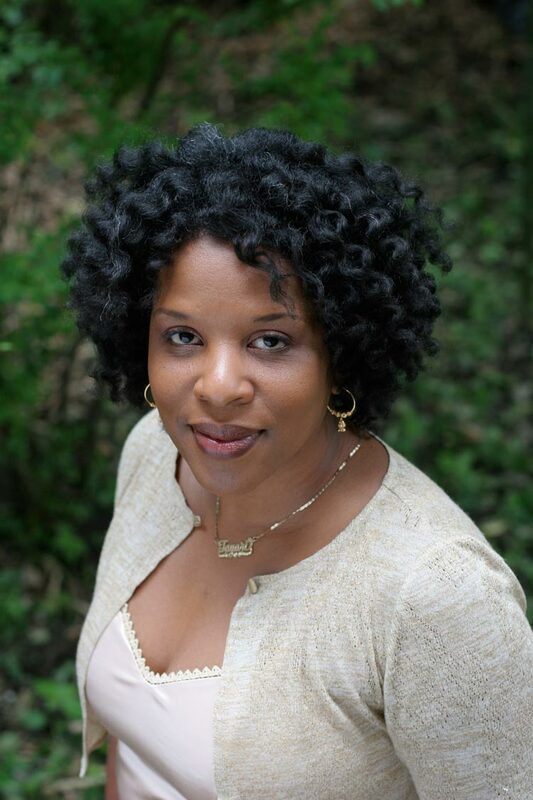 Tayari Jones is the award-winning author of Leaving Atlanta and The Untelling. Her third novel, Silver Sparrow, is being published this month by Algonquin Books. 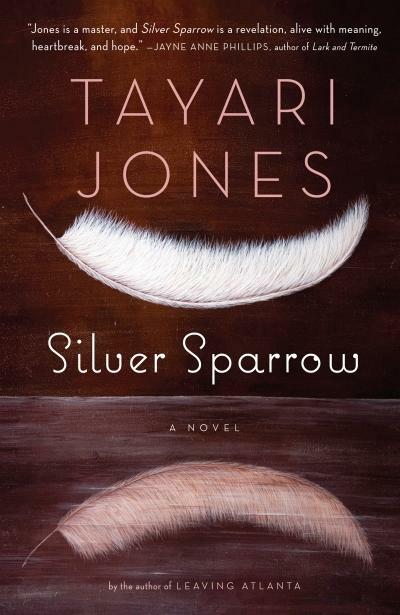 Set in Atlanta in the 1980s, Silver Sparrow tells a story of urban bigamy through two sisters, Dana Yarboro and Chaurisse Witherspoon. One child, Chaurisse, is the product of James Witherspoon’s public marriage while Dana is part of his hidden world—a second family he supports on the side. What follows is a complicated negotiation of lies and family secrets which threaten to explode as the girls mature, potentially destroying both families if the truth should be revealed. Brandon Wicks: With Silver Sparrow, I was immediately captivated by this notion of secret families and was reminded of Son’s Place, a famous and now sadly defunct Atlanta restaurant, whose proprietor struggled for his inheritance for being an “outside child.” All of this prompted my curiosity about the cultural history of this situation. Do you see “outside families” as an issue particular to an era or a region? to African American communities in particular? Or as something more universal? Tayari Jones: The question of paternity and legitimacy has been a theme in literature since before the written word, I imagine. Think of all the “legitimate” and “illegitimate” children in the Bible, in Greek mythology, too. Zeus had dozens of outside children. Hercules, Perseus, even the Minotaur, all of them — outside kids. And even in African American literature, the slave narrative was not only about abolition of slavery but often about unacknowledged paternity. So this is nothing new, but it’s endlessly interesting. The obvious question is the extent to which relationships can be institutionalized and what happens to people whose relationships are excluded from these institutions. And of course, there is the idea of rank and hierarchy in families. We don’t think of ourselves in the US as a caste culture, but the children born inside and outside of a man’s marriage offers a system of valuation that is readily accepted. On the issue of whether is story is universal, I have to say that with everything I write, I am always asked whether I think my subject matter is universal. I believe that most art is universal. Of course different issues manifest with different nuances depending on cultural differences, but the emotional core of these human conflicts are applicable to all of us who are human. I know what I have to say next is not really the intent of what I am being asked, but when an author is asked whether her work is universal, the feeling is that you are being asked to argue on behalf of your own humanity, a position that no one should have to be in. As a black writer, a woman writer, a southern writer — this comes up a lot. While on the subject of identity, do you find yourself categorized as a regional writer? (Or think of yourself as one?) If so, do you feel this creates any difficulties with publishing or with the reception of your work? Actually, I don’t often find myself classified as a regional writer, and I believe this is because people are usually given one label at a time, and the fact that I am black usually trumps my regional affiliation. You will often see black writers fighting to be called southern writers — after all, it’s our home, too. But you see white writers fighting to be seen as “more” than just regional writers. I think everyone resists exclusion. No one likes to be left out. As for marketing, I think it’s is helpful not to be marketed as “southern” although in my heart I am totally southern which I insist to everyone I meet up here in New Jersey. The reason it is helpful to me is that “southern” as a marketing term — not as a cultural term — doesn’t really include urban writers and writers of color, and I am both. Readers hate to feel like they have been misled with marketing. That said, I have never been invited to the Southern Festival of Books and it breaks my heart. Within the story, there are many different family structures: shared families, single parents, adoptive relationships, and multiple relationships (Raleigh’s shifting role as brother, uncle, and stand-in husband is particularly interesting). Coupled with that, the way family gets defined seems of central importance to its characters. Though this novel is set in the 1980s, how relevant do think these ideas are to contemporary debates about family? Contemporary culture has brought to the fore open discussions about families that don’t follow the traditional two-parent nuclear model. People who have not fit that mold are coming more out into the fore, joining the discourse and I think that this is all positive. But what I don’t see happening in the national conversation is any discussion about what happens when there are children born outside of a marriage, when the man is married. It’s not the same as a Brady Bunch blended family. Is it possible for the man to be openly engaged with both sets of children? These children still live in the shadows. At the time of this interview, Silver Sparrow has not even been published and I get emails from people who say, “I’m a silver sparrow. My dad was married to another woman and lived across town. I have brothers and sisters that don’t know me.” This kind of thing happens all the time, but there is such shame associated with it. Both the shame of being seen as “illegitimate,” but also the shame for your mother, that people will see her as a woman of ill repute, having kids with someone else’s husband. It’s really a sick way of looking at the world that does not allow for the complexities of people’s lives and does not take into account that all children are legitimate, just by virtue of being alive. In our society, the role of mothers still remains a taboo subject — women who doubt or question that role are apt to be demonized. One of the most compelling dimensions of Silver Sparrow is how complexly it represents mother-love. Gwendolyn takes Dana to spy on their “legitimate” counterparts to repair her self-esteem; Laverne defends James as a way of protecting her family; Lula abandons Raleigh to the care of Miss Bunny, doubting her own fitness as a mother. What drew you to this subject? I heard on NPR that the last three women appointed to the Supreme Court have no children. The last three men have a total of seven or something like that. Stats like that make me wonder about the woman who would have been on the Court were it not for the obligations of motherhood. Children bring joy to women’s lives, but it can also be really complicated and so few women feel free to talk about it. After all, you wouldn’t want to hurt your child’s feelings or guilt-trip the kid by saying all you have sacrificed. There is a question that Jacqueline Jones Lamon posed in one of her poems: “Who is responsible for your mother’s suffering?” That is the most self-interrogating question a person can ever ask. Silver Sparrow does a great job of portraying characters who are at once sympathetic and yet, in a way, brutal. How difficult was this to achieve? Were there any revelations that you had when writing a specific character? One of things I try to keep in mind when writing a novel or even just a scene in a novel is that everyone has a legitimate point, or an agenda that can be seen as reasonable. I may not agree with the character’s point of view, but I have to understand it as reasonable, at least under some specific code. It’s the kiss of death to become too invested in a single character so much that, as a writer, you want to avenge that character and punish her enemies. I write to find some truth, to come to understand something I didn’t already know. I can’t be on anyone’s side, which is hard because at the same time I have to love my characters enough to feel what they feel. The writer has to maintain a kind of compassionate distance. It’s tricky. Gwen, the “other woman,” was easy for me to love because I always side with people who are really marginalized. But James, the bigamist, he was a challenge. But I realized that he was, in a twisted way, trying to do right by everyone. Of course he was motivated by self-interest, but he is also motivated by the desire to have two families. He was a family man in the most extreme terms. Nobody can accuse him of not being the marrying type! But at the same time, he is a coward and the consequences of his behavior are real. The book is structured by two halves, two split voices: Dana and Chaurisse. The conclusion manages to reconcile these two voices with a realistic beauty, though one haunted by uncertainty. Without giving the ending away, are these lives you might revisit in the future work? First, thank you for that compliment about the ending. I can’t tell you how many times I had to rewrite it. I think I tried that last chapter from the point of view of all the characters, but at the end, Dana won out. I love how reflective she is and how honest. I don’t see myself revisiting these characters. Usually, when I am done with a book, I am done with a book. As a matter of fact, that’s how I know I am done — the characters don’t haunt me anymore. But then again, you never know. Lastly, from the very first page, I was struck by how powerful and direct the language is in Silver Sparrow. How do you think your writing has changed or developed since your first novel? I think I have become more settled in my own voice now that I am in my third novel. I wrote this book under strange circumstances. I had submitted the first hundred pages to ten publishers and they all said no. So I wrote this book and it had, in a way, been pre-rejected. I wrote it with no eye to the market, because I felt the market wasn’t interested, so I wrote it with an allegiance to truth and to language. I wrote my first book in that same way — I never thought Leaving Atlanta would be published — but I wasn’t as strong of a writer then as I am now. So for Silver Sparrow, I had managed to recapture the innocence of a rookie, but with the careful hand of someone who knows what she’s doing. The result is a novel that I am really proud of. It was hard going. I cried a lot — I can’t lie. But I am so glad about how everything turned out.